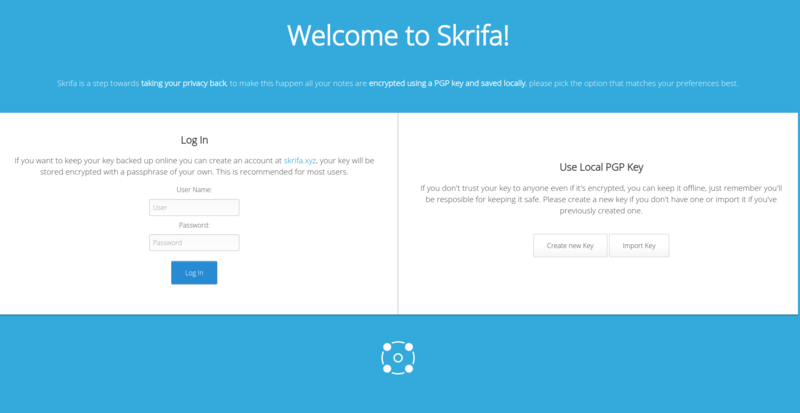 Skrifa started back in 2015, the original intention was to release it as a desktop app however due to some technical difficulties, it was released as a Chrome App instead. A little more than a year passed since the original release and earlier this year Skrifa v0.2.0 shipped achieving the initial plan of creating a desktop application. It came packed with a whole new design, features and ideas. The main feature was encryption by default on every note, a focus on privacy. Even when that version was released in January, it was a silent release, no post was made and no big announces happened, I wanted to wait until it was good enough for it, until it felt like it could really achieve what it was designed for and that time has come. Skrifa v0.2.6 finally achieves the promise set by the v0.2.0 release, the promise of offering a simple, transparent and friendly way to protect your privacy that does not affect your workflow and let's you focus on writing. This release fixes a huge number of bugs and added more PGP features to Skrifa, such as the ability to import an existing PGP key which means that having an Skrifa account is no longer necessary to use it. Many are not comfortable with uploading their PGP keys to a server even when stored encrypted with a passphrase only they know, and they are right about it! not having to upload your key anywhere adds more security to it but also comes with the big responsibility of managing, storing and keeping your key safe. Adding support for PGP keys, not only provides better security, it makes it an even better option for everyone out there that's already using PGP. 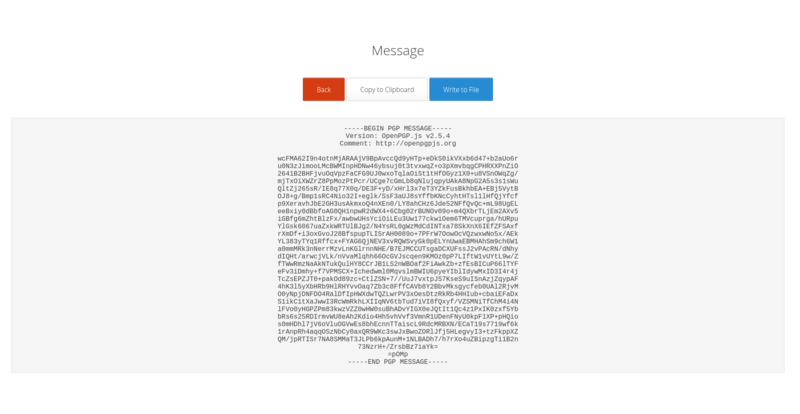 Some of the added features related to this make it easier to interact with other non-skrifa PGP apps, like the ability to share your note in a text plain PGP encrypted format. We all have a different taste when it comes to design, specially when it comes to the place where we write. This is why since day one Skrifa for desktop had support for themes instead of providing a day/night mode like it's Chrome predecessor. It allows people to create themes that can completely change the look and feel of the application and two have just been added. 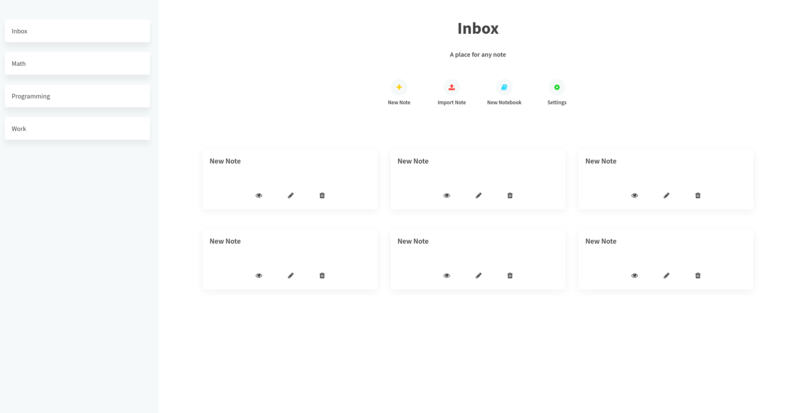 The ghost theme is closely based to the original theme but instead of using solid colors, it prefers using a ghost style on the elements focusing on keeping the simplicity of the original one. The playful theme is the newest and greatest acquisition for Skrifa, not only because it was created by the first contributor to Skrifa but because it truly makes it a whole new experience. 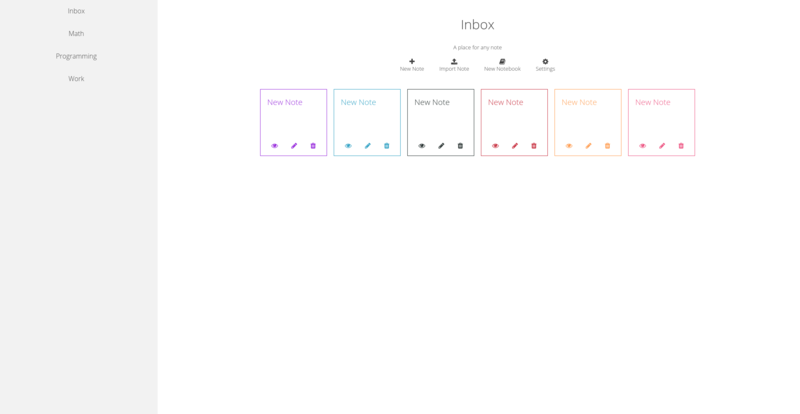 From a better WYSIWYG editing experience to a modern and simple look. Playful truly redesigns all your experience. The editor is possibly the most important change and makes it even a better option for those who want a simple interface to focus on writing. The whole tool set is also responsive, making it ideal for taking notes on split view. Encryption is awesome, everything should come with encryption right out of the box but lets face it, it is not for everyone and definitely not for any hardware. Adding encryption by default caused the blazing fast speed of the Chrome app to fade away in the desktop application and added an overhead for the computer. For this very reason, Skrifa Lite was created, a brand new app that shares the same code, design and features than the Skrifa desktop app but stripped away the encryption, recovering that awesome speed everyone loves and making it a better choice for hardware with low specs. Skrifa Lite is available for download right now and migrating from one app to another is incredibly easy and painless! Do keep in mind however that Skrifa Lite does not protect your privacy since it doesn't encrypt anything. 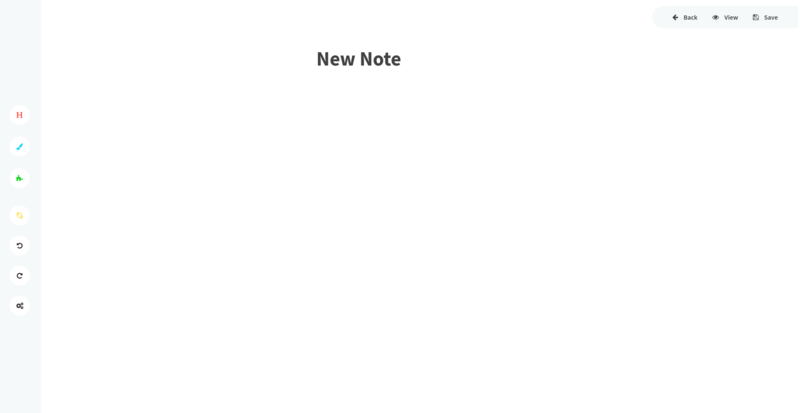 Skrifa for Chrome has been updated to create a seamless experience across all the apps, backups and note exports are now managed in the same way, meaning you can now easily move across the apps with all your notes just as you made them. Skrifa is almost an universal app, working on most of Desktop operating systems, Windows, macOS, Linux and Chrome OS. A new icon was made for this app as well in order to differentiate it from the main app. The Chrome version will later be updated to the same interface the desktop apps have in order to improve the consistency across them. 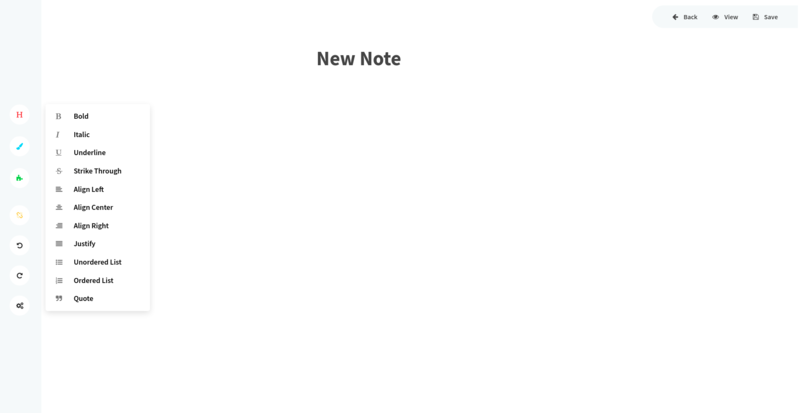 In this era of Cloud Storage, why on earth would someone store all it's notes offline? Since the beginning, Skrifa's storage has been 100% offline. Since it started as a Chrome app, the options where storing it locally or storing them on Google Drive. Since then there was some interest on privacy so storing them offline sounded a lot more secure than on Drive. Even though it's not a real privacy solution it at least gave you the power to choose where you wanted to store your notes, specially your backups without binding you to a specific solution, as a mainly Linux user, having the power to choose is always in my interest. There is a lot of hate and dislike around Electron and all the reasoning behind it is solid. Electron is a huge overhead and it comes with many of the problems Google Chrome has but the main reasons people hate it are it's insane memory, resources usage and big app sizes (Skrifa is about 100MB in some platforms!). So why pick Electron when I know about all it's downsides? Well, simplicity is the keyword here. Being able to create one app that runs in multiple OSs is really convenient for indie developers like me, specially when it's a free product. It saves time and resources and achieves a consistent experience across every platform and makes it easy to fix a problem so that everyone can benefit from it. Not only deploying is easy but programming as well, there is simply no other thing that gets you started as fast as Electron does, specially if you are mainly a Web Developer. Nonetheless, alternatives are being considered such as React Native but at least the whole v0.2.x series will be released on Electron. maybe in some time a truly native Skrifa for every platform will be available but until then, we'll have to appreciate the good things it has instead of the bad ones. With every big release, there is a whole new bunch of bugs waiting to be discovered, specially in one as big as this one. 86 commits were made to the code since the last v0.2.5 release, that's even more than what it took to make the first release! So the immediate future is focusing on fixing the bugs people find while the planning for the v0.2.7 comes along. Remember you can always report a bug or request a feature on GitHub. If you are already an Skrifa user go ahead and get the new one! Hopefully it will surprise you and if you are not yet an Skrifa user why don't give it a try?